"...Thank you so much for the time that you spent with our quiz coaches last season. We launched a brand new team, and needed a lot of help. Although I have personally been around quizzing for a few years, there is so much that we did not know or understand about the game. Your step by step approach of how to interrupt 10 point questions as well as the 20 and 30 point questions was a real eye opener. Obviously, quizzing is still a lot work, but at least we now have a plan that we can work, and hope for more success in the future!" From the first day I met James Barber, it was obvious that he wanted to be a part of our business community in more than a superficial way. He rarely spoke about his business, but rather about how he helped people. James has worked hard to help his fellow business owners through his warm friendly encouraging message. James is hard working, conscientious and a fine individual. I have heard James give several inspiring presentations. Rarely were the presentations about his company but they were usually about some life lesson that shed light for others. As a testimonial I can only say that no matter what endeavor James pursues, he will do it with passion. He will pursue it with a servant heart and with the intent of helping those he comes in contact with along the way. "Bro. Barber has been a tremendous help to my wife and me in building a successful quiz team in recent years. He has taught us how to thoroughly cover a concordance, how to better understand questions and the patterns they fall under and even how to more effectively reference a quizzer. His experience in the Bible Quizzing ministry has equipped him with a great amount of knowledge that remains both needed and appreciated. He possesses such a big heart for this ministry. 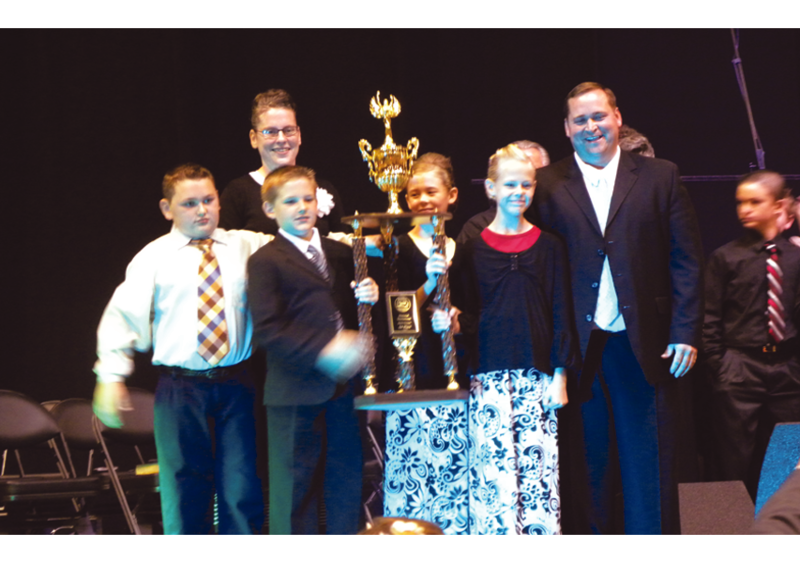 "James Barber is one of the premier Bible Quiz instructors in the country. He has brought our local quizzers and coaches to a new level of ability, and continues to train and inspire other quizzers across the nation. Bro. Barber is also a qualified preacher whose ministry would be a blessing to your church." I would describe James Barber as honest and hard working with a servant's heart. I met James at a weekly business event at the Chamber of Commerce. He makes a point to shake each person's hand and see how they are doing. His clients speak highly of him and his work. As the owner of LaFavor Etc, I have known and networked with James for over two years. I have heard James speak on several occasions and he is very sincere, passionate and well versed about his subject matter. To reach his audiences, James uses a down to earth approach as well as a flavor of comedy and laughter to give you vital information. James leads by example and many people here find his enthusiasm and dedication both inspiring and motivating. I’ve worked with James Barber for almost three years as a Director on our BNI Team. He was selected to participate on our team because of his enthusiasm and dedication to the success of others. His enthusiastic presentations can wake a sleepy crowd while actually getting through to them with valuable information.